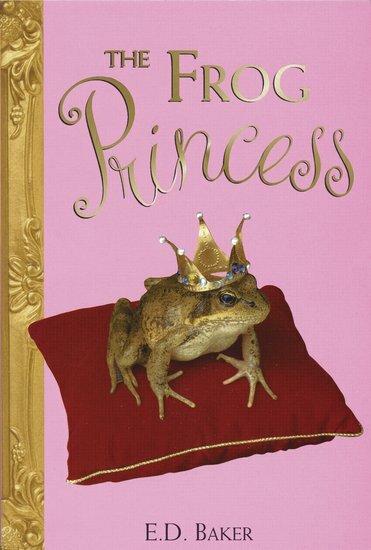 The book that inspired the Disney film, The Princess and the Frog. Find out what made the world’s top animation studio fall in love with this froggy tale! Emeralda isn’t exactly an ideal princess. Her laugh sounds like a donkey’s bray rather than tinkling bells. She trips over her own feet more often than she gracefully curtsies. And she hates the young Prince Jorge whom her mother hopes she will marry. She dreams of escaping from her frustrating life. And she does – when she turns into a frog… A book so funny we could almost kiss it! I think the movie was better than the book. I haven’t read this yet, but I’m CRAZY about toads & frogs! I’m also curious ( oh yeah, BIG suprise. Not.) about where the idea for “the princess & the frog” came from. Catch you later!